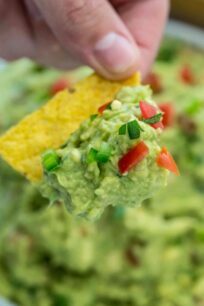 Homemade Guacamole Recipe is easy to make and uses fresh ingredients that make it the absolute best. This is as close as you can get to true and authentic guacamole. All you need is ripe avocados, tomatoes, cilantro or parsley, onion, jalapeno pepper, lime juice, garlic, and salt. This is all it takes to make the best recipe conveniently in your own kitchen. This delicious recipe is a staple in our house. It is ready in less than 10 minutes, but always the first dish to go. Perfect to serve as an appetizer with tortilla chips or over some Ribs Tacos. 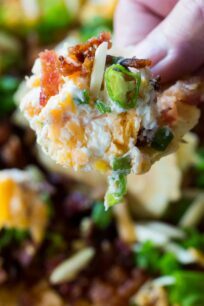 If you are hosting a game or a party, you might also like try this Spinach Artichoke Dip or Homemade Hummus. Guacamole recipe is meant to be made quick and easy. It does not require many skills to make a delicious and authentic one. The secret to a delicious guacamole recipe is in fresh products used. It’s that straight forward. Using a blend of fresh ingredients will ensure to get the best flavors out, and this is precisely what you want in it. We have tried many variations of this recipe, and some have too many ingredients while lacks the flavors of true and authentic guacamole. After making this dish over and over at home, we perfectioned it to become the best you can get. 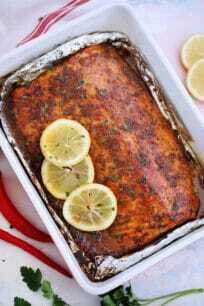 Watch the video below for step by step recipe details. What is the secret to the best Homemade Guacamole Recipe? As stated above the secret starts with ingredients. Since avocado is front and center in this recipe, you want to make sure you start with a great quality avocado. That is why you should always look for ripe avocados. It has to be ripe, but firm. You certainly do not want soft and mushy avocados. Grab avocados that still have the stem attached. Try to avoid the once that have the stem removed, as it might have brown spots inside. Then, gently squeeze the avocado with the palm of your hand, but not your fingers. It should be firm, but yields slightly. This means it is ready to go. However, if it gives easily, it is probably overripe, which should not be used for guacamole. 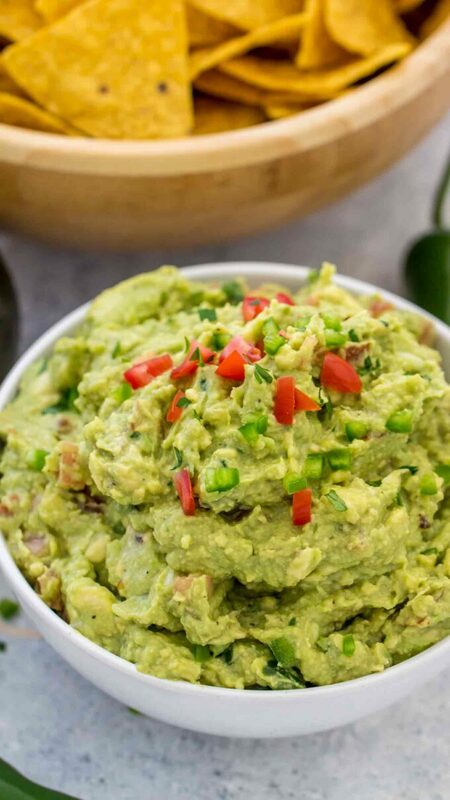 How to make the best guacamole recipe? Making guacamole at home is very easy. It only takes a few minutes of your time and a few steps to follow. Start by slicing the avocados in half and remove the pit. We normally use 3 avocados, for a large portion increase accordingly. Then, use a spoon and scoop out the flesh and place into a bowl. Use a fork to gently mash them to your desired level of chunkiness. For best guacamole, do not over mash or puree the avocados. Add the onions, tomatoes, jalapeno pepper, onion, lime juice, salt, and pepper. Stir everything together. Sealing the guacamole – this is your best bet when it comes to extending its freshness and keeping it from turning dark. Seal it as tightly as possible with plastic wrap. You actually want the plastic to touch the guacamole. This will help keep it green for a day or so. Avocado pit – place the pit inside the guacamole until ready to serve. Then cover it tightly with plastic wrap and refrigerate. How long will homemade guacamole last? As stated above, it’s best to eat it right away. With that said, it is still possible to make the guacamole recipe ahead of time, and stored in the fridge for up to 48 hours. Cover tightly with plastic wrap before placing in the fridge. You will know it’s gone bad when it has a substantial puddle of brown liquid and it’s green color disappeared. 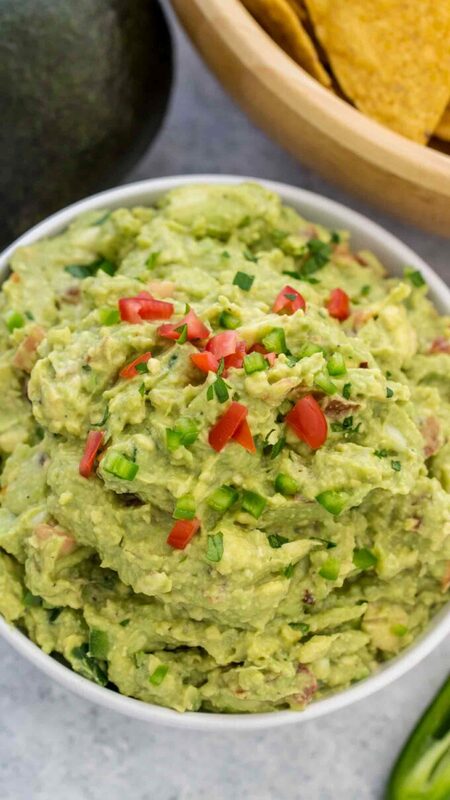 Homemade Guacamole Recipe is easy to make and uses fresh ingredients that make it the absolute best. This is as close as you can get to true and authentic guacamole. Cut the avocados in half and remove seed. Score the inside of the avocado with a blunt knife and using a spoon, scoop out the flesh into a large bowl. Add salt, a pinch of black pepper, minced garlic, pepper flakes, and lime juice. Using a fork, roughly mash the avocado, making sure you leave some avocado chunks. Add finely diced onion, jalapeno, tomato and cilantro leaves. Gently stir, careful to not crush the avocado chunks more. Taste and adjust for salt, pepper, and lime juice. If preferred add more pepper flakes or a touch of hot sauce. Adjust the recipe to your taste. Preferably serve right away, but if not served immediately, place plastic wrap on the surface of the guacamole to cover it. This will prevent air from reaching it and turning brown. Refrigerate until ready to serve, but for best results, it should be served in just a few hours. Garnish with chopped cilantro, some diced tomatoes, and jalapeno. Love guacamole! Always a crowd pleaser! We always make it for parties! 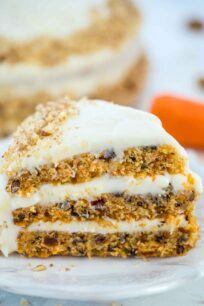 This recipe was delicious and easy to make plus knowing that all my ingredients were fresh made it all the more appealing. Never going back to store bought guacamole! I am so happy that you loved it, its a staple in our house! I am loving this! It’s fantastic! and si easy to make! 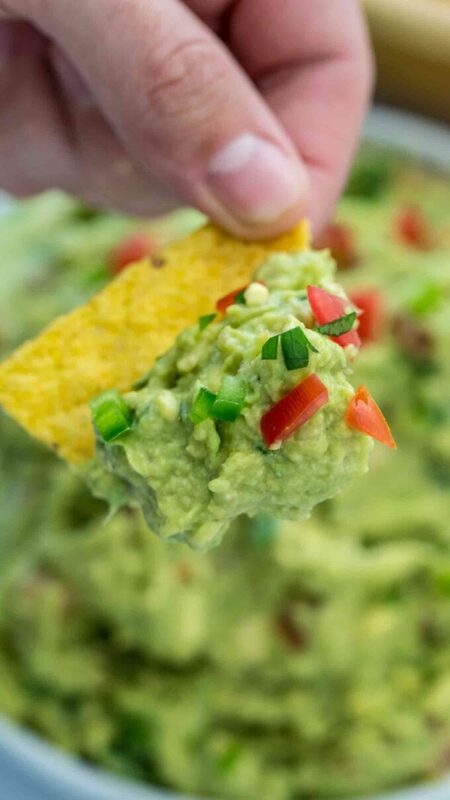 Homemade guac is one of my favorite party appetizers! So fresh & delicious! Yes, its perfect for parties. Delicious and easy! Perfect for topping tacos, nachos and more! Love it! Looks delicious and so easy to make! I need to try this immediately, it looks so good! We made it for the Superbowl party and everyone devoured it! I could eat guac all day long! Love yours! Cannot wait to make it!